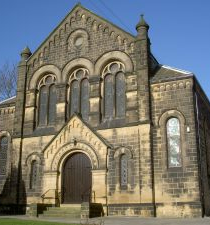 Baildon Methodist Church is a part of the Bradford North Methodist Church of 16 churches that share a Team of 4 Ministers. I’m Cheshire born but Yorkshire bred, As are my children, it must be said, Though they’re grown up, moved away, Teenage step-daughters have come my way… This might be why my hair is greying, Middle spreading – hear what I’m saying – Or maybe it’s the jobs I do, One in the district, and one with you!Though I don’t do stress, well, not that much, and I work with humour and a gentle touch. I relax with Julie, with books and walks – We both like films, but only I like sports And though you wouldn’t know it, in my spare time, I’m a poet. You can get in touch directly with Nick by email. I was born in Leeds and have lived most of my life in West Yorkshire. 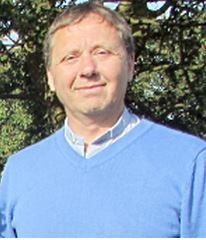 I sojourned in the south for just over seven years doing ministry training at Regents Park Oxford and a first pastorate in Maidenhead, Berkshire. I am married to Beth and we have three adopted children; Irene, Chris & Lizzy. My first degree was in accountancy and I spent ten years working for a firm of chartered accountants in Leeds specialising in insolvency, companies and individuals in financial difficulties. I continue to know the Lord’s work in and through my life. In 2012 I had a kidney transplant for which my family and I are truly grateful. I have a passion for the practical application of God’s Word, encouraging people to share the Lord’s story through their own, seeking the Lord through prayer and worship and working with groups both inside and outside the church. I am a member of Yorkshire County Cricket Club, support from distance Leeds United and enjoy BBC’s crime solving series ‘New Tricks’. Beth and I together, with and without children, visits places of historic interest, enjoy theatre and love exploring the country. You can get in touch directly with Andrew by e-Mail. I have moved to West Yorkshire from South Wales. I am married to Ruth and we have three children aged 16, 13 and 11. I have been a minister for fourteen years previously serving in Cardiff and Liverpool. Prior to training in Durham I was a church lay worker, youth worker, an adult educator and a primary school teacher (not all at the same time!). I am interested in education and learning, working with small groups and how churches use outside spaces. You can get in touch directly with Phil by email. I was born in Cardiff, South Wales. 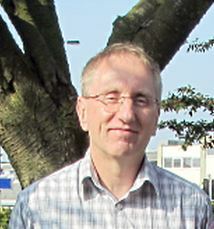 Having taught German at secondary schools in Hertfordshire for ten years, i then worked at All Nations Christian College, Ware, first as Academic Secretary then as Chaplain. Alongside that, i trained part-time for ministry at North Thames Ministerial Training Course. My ministry began in Cardiff (2004 to 2009) in pastoral charge of an urban and one inner city church where i was able to use my creative gifts to write songs and sketches. I then moved to Lincoln (2009 to 2014) where I was in pastoral charge of 4 village churches where i did an introductory course in Spiritual Direction and felt the call to this ministry grow deeper and was co-leader of “Create-days” to inspire people to be more creative in leading worship. 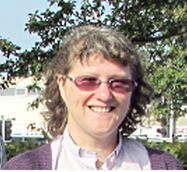 You can get in touch directly with Christine by email. 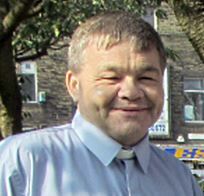 From September 2012 the traditional model of Methodist Ministry exercised by Methodist presbyters in the Bradford North Circuit changed from each Minister being in pastoral charge of their own church, to Team Ministry. 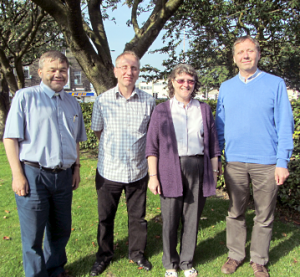 Our 4 Methodist Ministers, working together with lay employees, exercise pastoral charge of the circuit churches….. in a way, one church with 17 branches. Pastoral care of the Methodist people is largely delivered by the Methodist people themselves, through pastoral visitors, church stewards, group leaders, friendship support, with the Ministerial Team ensuring training, supervision, and being available for appropriate referral and support.